A research fellow with the Institute for Educational Planning and Administration of University of Cape Coast, Dr. Mike Boakye Yiadom has won a 10 000 us dollar grant from the University of Maryland in the USA. The grant was jointly received with his colleague Dr. Candace Moore of the University of Maryland in the USA. Dr. Boakye Yiadom and Dr. Candace Moore are expected to use the grant to implement their Global Classroom initiative. 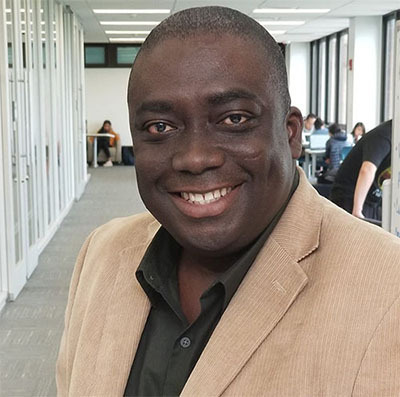 The Global classroom Initiative programme, according to Dr. Boakye Yiadom, is intended to create an enabling environment through virtual digital technology that will expose students from both institutions to cross cultural and project-based experience to enhance their Academic discourse. He said, the initiative when fully implemented will promote the University of Cape Coast’s international visibility agenda by engaging other students and faculty from the University of Maryland and other Universities around the globe to share ideas and experiences that go beyond their classroom and culture.